Hawaii's Big Island has certainly earned its moniker; it's not only big in size, but it also stands out for having many of the 'best', 'top', and 'most' distinctions in all of Hawaii. Of course, the same holds true of the island's hotels. 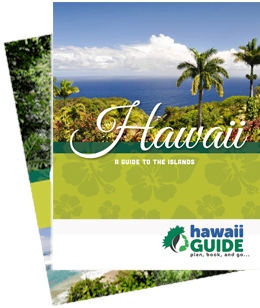 Here you'll find everything from family-friendly lodging, unique boutique hotels, to luxurious Big Island resorts and spas; you name it and the Big Island has it. And because we here at Hawaii Guide want you to experience the best Big Island accommodations, we've assembled our favorites here. Check out the great rates and amenities these hotels offer. Our featured Big Island accommodations are those which we feel stand out in some way. For example, they may provide a gorgeous location, superior amenities and luxury, exceptional value, or a unique experience. See what has earned these accommodations a place in the spotlight. Book Your Big Island Hotel Today! Whether you're looking for a romantic getaway for two with lots of pampering, a family-friendly place the whole gang will love, or want to find the best accommodations in the area(s) of the island you'll be visiting, we've made it easy to choose the perfect Big Island home away from home. Wondering which region of the Big Island to visit? Check out the pros and cons of each area here. You'll also find a guide to the top Big Island luxury hotels, as well a handy star rating search feature that'll give you the level of service and price point you're looking for.